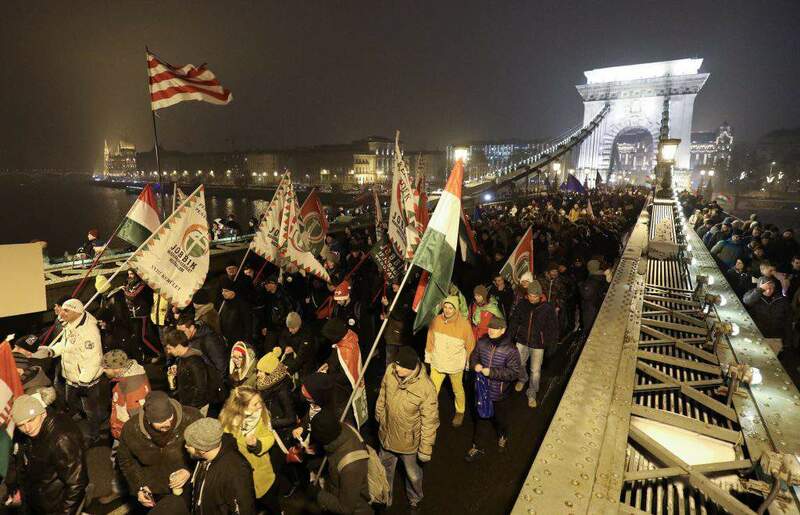 The satirical Two-tailed Dog Party staged a “national Christmas peace march” in Budapest, marching from the Parliament area to the Chain Bridge and then back to Parliament on Friday evening. 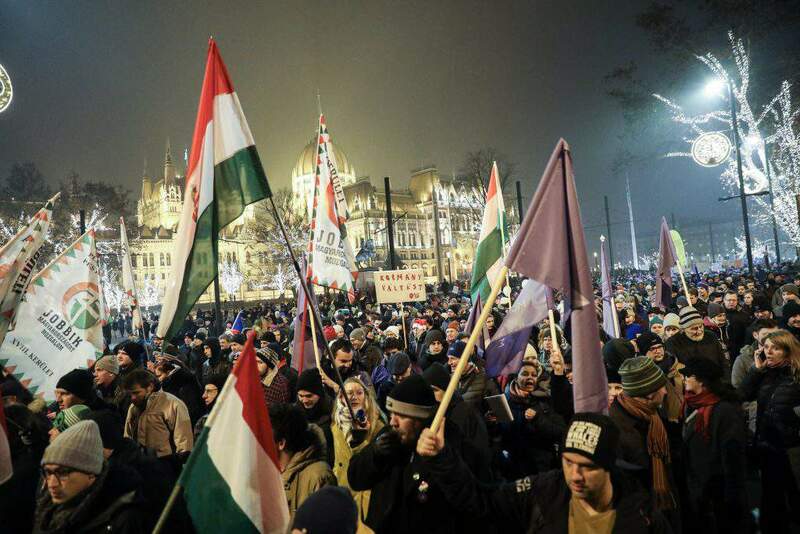 After this, opposition parties and civil groups staged a demonstration in front of the presidential palace in Budapest’s Castle District on Friday evening. 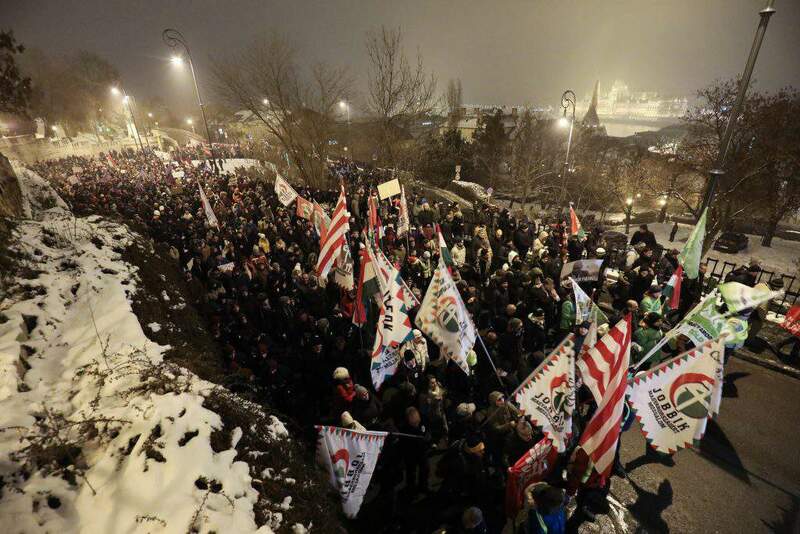 “More overtime work!”, “No pensions!” or “Long live the Party”. 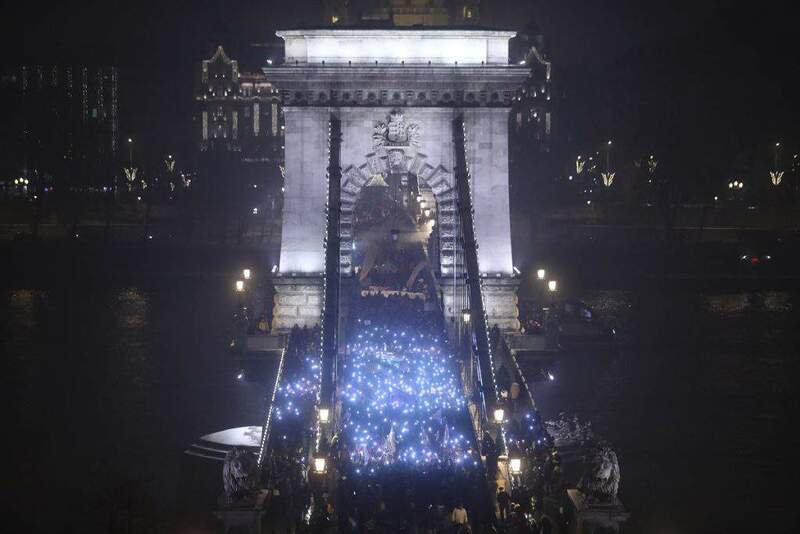 Two-tailed Dog party peakers addressing the event thanked the government “for all their good deeds for the people”. 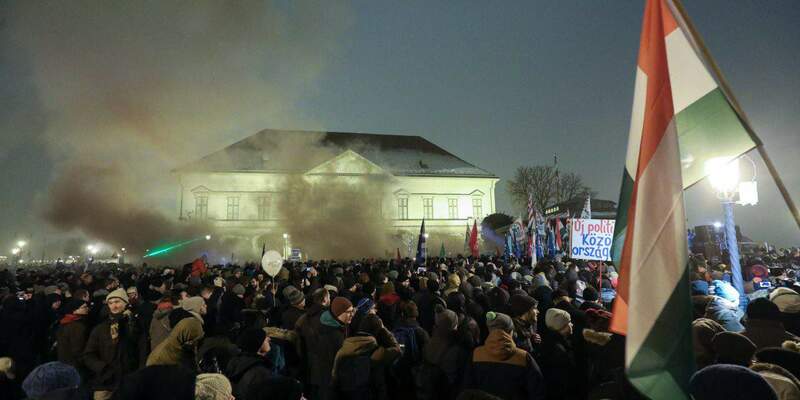 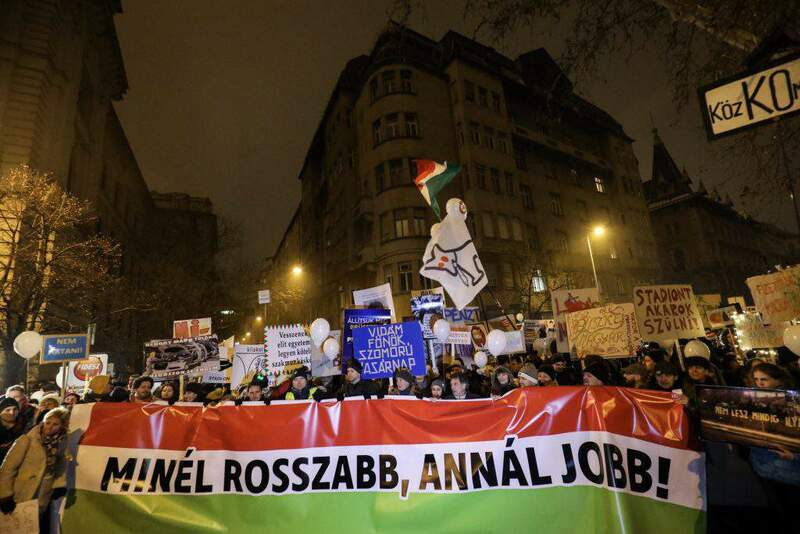 The protest was held under the motto “Shame on you, János!” after President Janos Áder signed a new law under which the maximum of overtime work could be raised and another one introducing public administration courts. 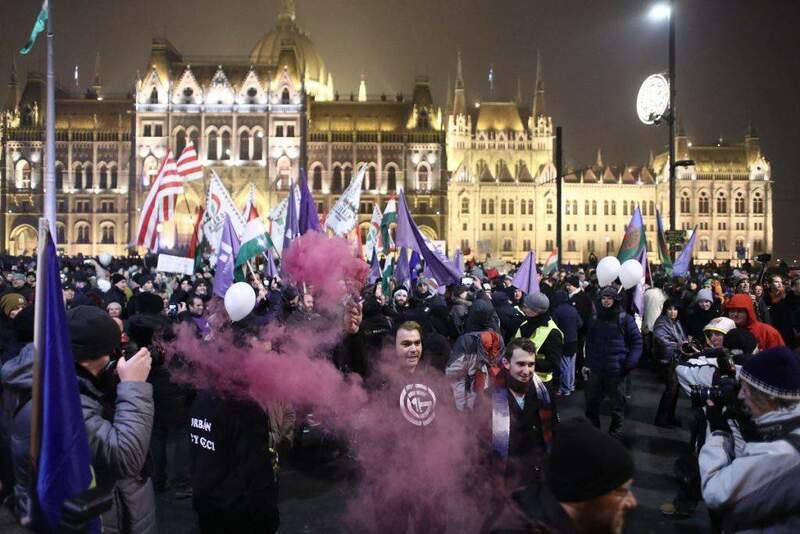 Anna Donáth, deputy head of the Momentum movement, welcomed that protests are held “not only in Budapest but in other cities, moreover, across Europe” against the Hungarian government’s policies. 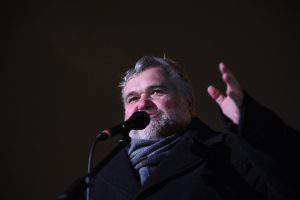 “Let 2019 be a year for resistance,” the speaker added. 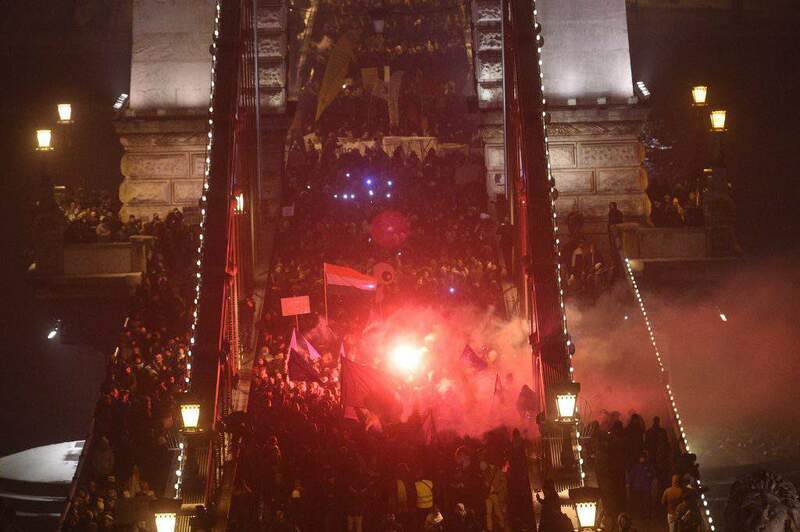 He also demanded that the president should be directly elected rather than by parliament. 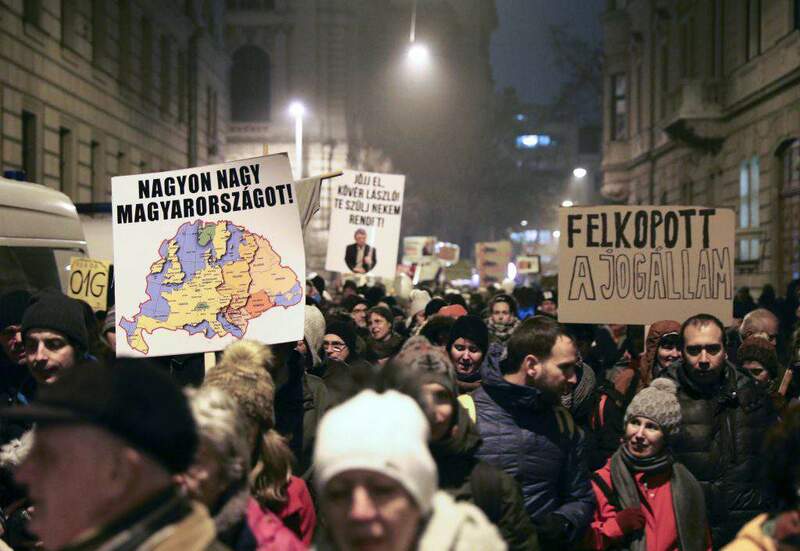 “the president is no other than Viktor Orbán’s puppet”. 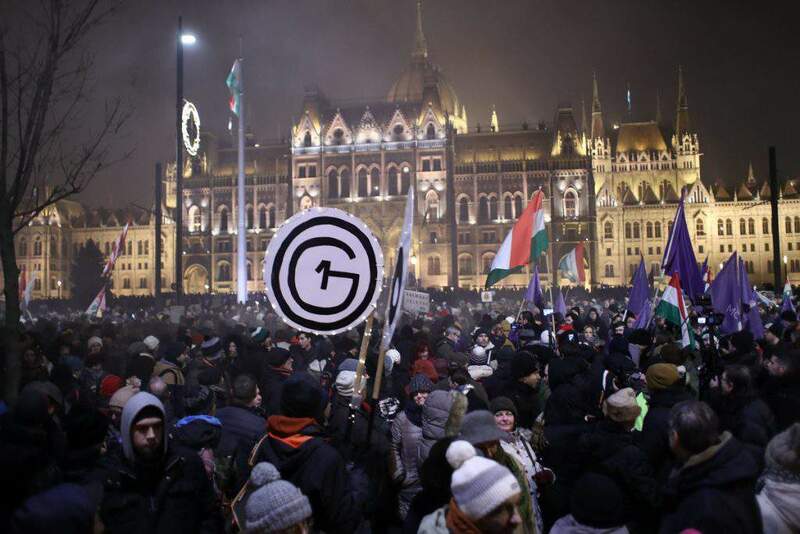 László Varjú, an MP of the Democratic Coalition, said “it is time that the people ousted the mafia-state” and added that “if Orban wants peace he should resign”. 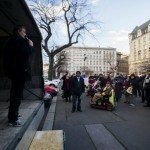 As we wrote on Sunday, civil organisations and opposition parties held a demonstration against a recent law on extending voluntary overtime in Budapest. 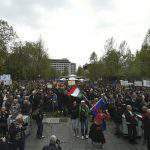 Read more here, check out photos. 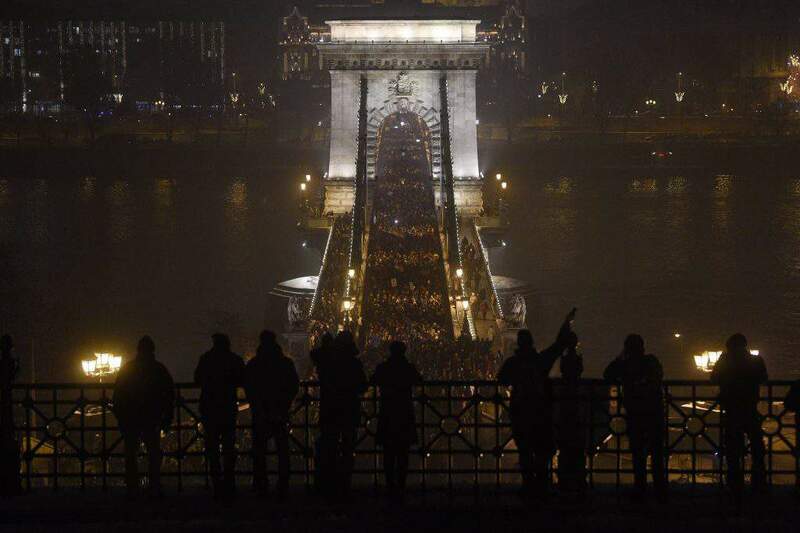 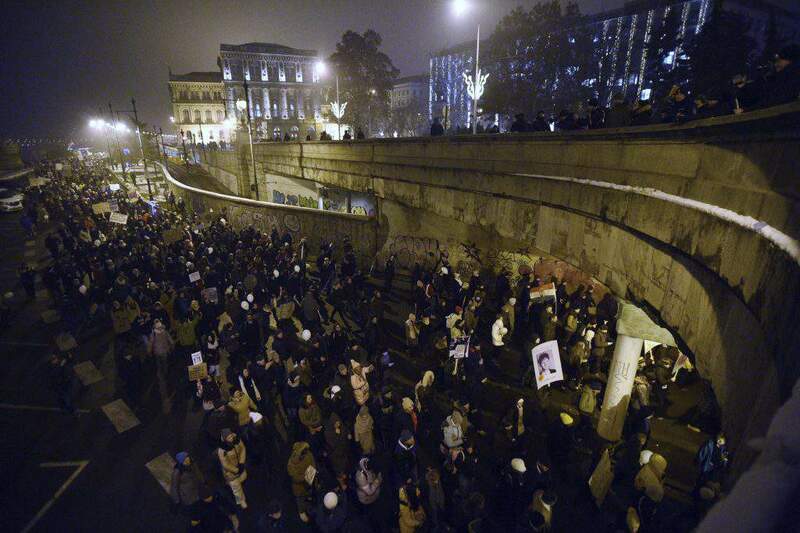 Organizers: Protest against Prime Minister Viktor Orbán's "politics of fear"